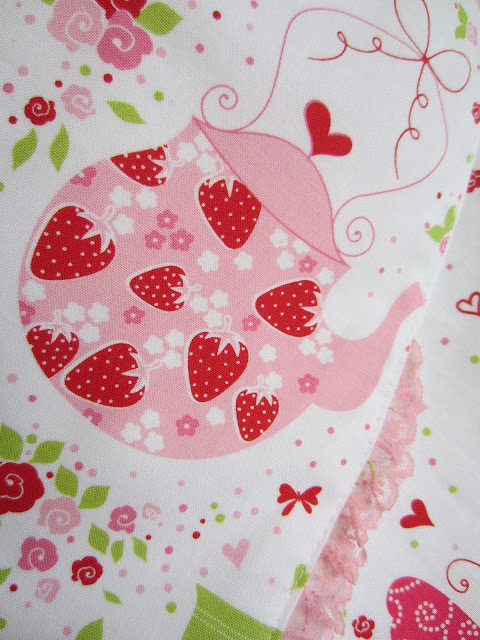 In shop news, I have used up all my Strawberry Tea Party fabric by making a dress to give away and two special orders. Isn't it pretty? 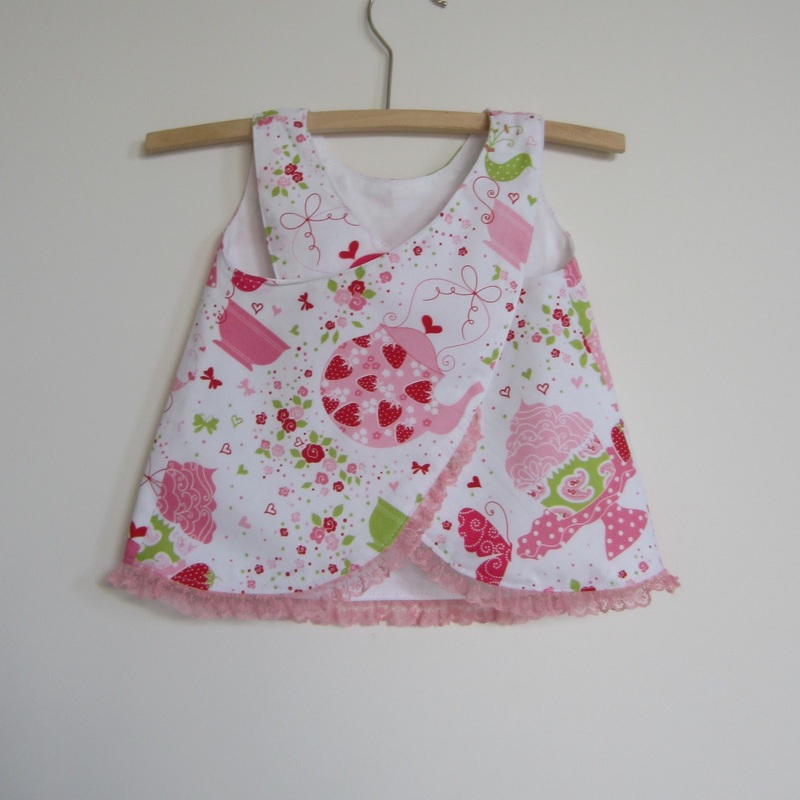 Etsy has introduced a drop down menu so my customers can choose what size they want for their baby dress. This is a great tool for my shop since I don't have to make one of each size, I can just make a sample and then make the dresses "to order". More Tea Party fabric was purchased today and will be available for made to order dresses in a month or so. I am just back from a trip to Sydney. We had a rather fast trip back because we thought the dog boarding kennel was open till 5 but when we rang to check found out it closed at 4. Oops. 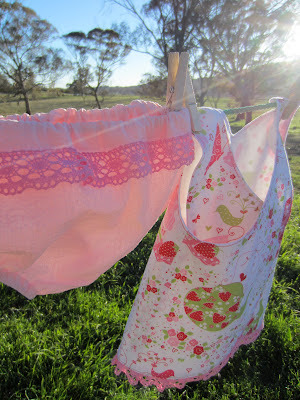 Due to feeling worn out, I am posting a pictorial blog today. I am providing some hints so you can work out what it is you are looking at, but I did not want to give too much away, so they may be rather cryptic. 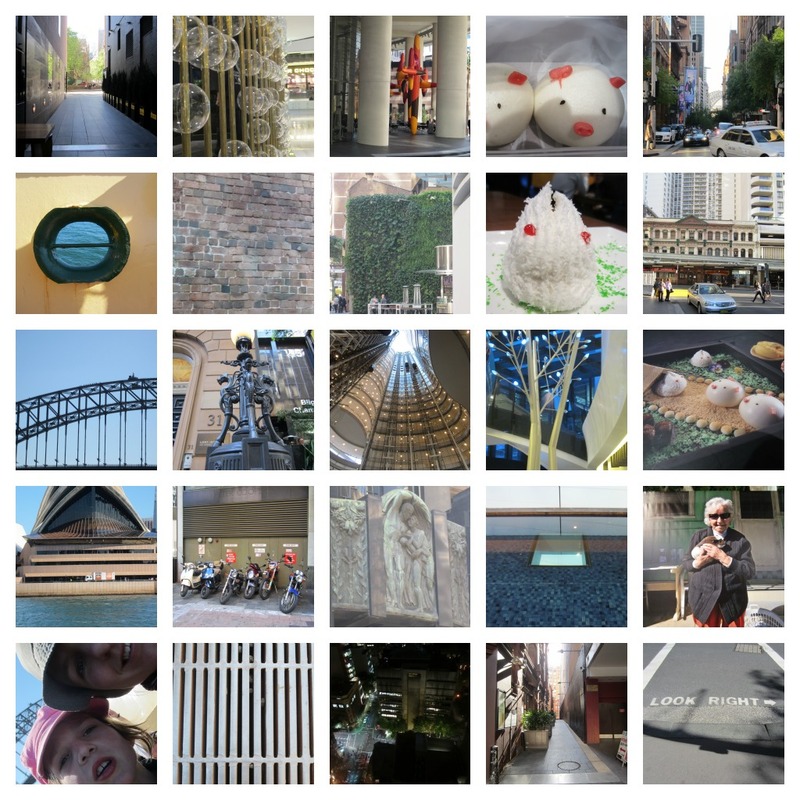 All photos taken in the vicinity of the Sydney CBD, or on our trip to Manly. Collage made using Picmonkey.com, which is an excellent tool, and even has a template for making a facebook cover photo collage. * "the claw! the claw!" 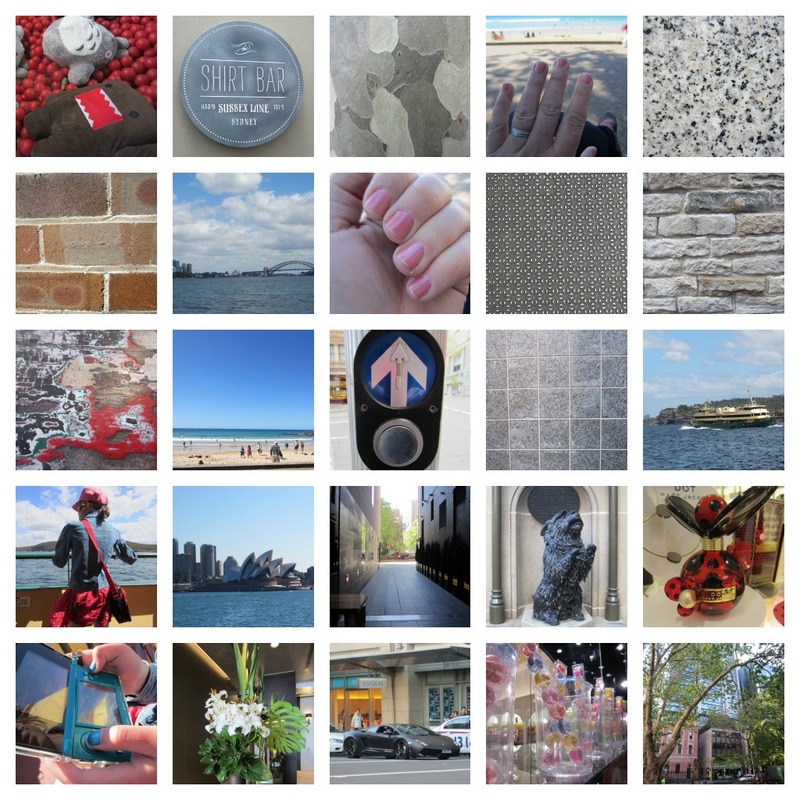 Love the photo collages... I have to check that website out. 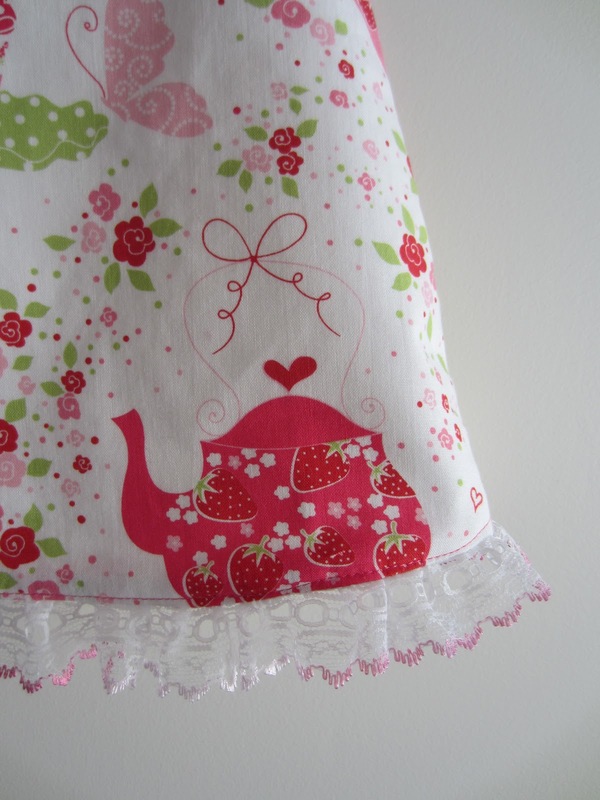 And love the tea party fabric dresses. So cute! Love the fabric -- and the photos on the clothsline are great! Love the collages. Had fun trying to figure out which was which (still stuck on a a few). Which photo almost got you kicked out and why? Love seeing glimpes of Sydney! Hope you ordered lots of that fabric, its adorable. The fabric is so adorable! And I love the pictures, but why did you almost get kicked out of the department store?? That little crossover dress with the white eyelet trim and the hot pink teapot near the hem is just the cutest! I wish I had a little one to shop for. I love how you share new ways to present photos. Just so you know - it turns out it is not allowed to take photos in David Jones. But i didn't know that, so when I took the photo of the perfume bottle a shop lady came and shouted at me. Oops. The baby outfit is so adorable!